After Ethereum’s launch in 2014 a number of projects have attempted to create platform projects that are not only similar, but also try to enhance Ethereum’s technology. In this article we consider which of these projects are the most promising. Beyond Ethereum, we look at NEO, Cardano and EOS. We will do this by reviewing various key parameters, and explaining how the various projects perform according to these parameters. Ethereum was the first platform project that was launched. It is, therefore, both the pioneering project and the starting point for all the others. Ethereum was the first project to create a platform that other projects could launch themselves. The great advantage of the Ethereum project is that they had time to build a solid user base, as until recently there were simply no alternatives. NEO has the third largest user base. Following the launch of their platform last year, more and more project choose to launch on the NEO platform. However, they still remain miles after Ethereum in the number of users. NEO has the advantage of attracting Chinese projects and institutions, as they are based in China, and China’s centralized policy is highly nationalist. However, according to the latest list of top cryptocurrencies according to CCID (Centre for Information Industry Development) under China’s Ministry of Industry and Information Technology, NEO comes after EOS and Ethereum (first and second place respectively). NEO lands on the fifth place in the latest ranking. Quite surprisingly, in a short few months since EOS was launched, it has already surpassed Ethereum in the number of daily dApps users. Ethereum has clearly the most developers and programmers employed, including some really sharp people at the top of the food chain. And the creator, Vitalik Buterin, can without much objection from anyone be described as something of a genius. Buterin took on the whole idea of a cryptocurrency platform, and was the first to build “smart contracts”, a concept originally designed by Nick Szabo back in 1994. NEO’s creator is called Da Hongfei, and his biggest achievement was the creation of NEO (formerly Antshares), and NEO’s brother-firm OnChain. In addition to being a blockchain entrepreneur, Hongfei should also be good at nurturing his relationship with the Chinese government. EOS is Dan Larimer’s project, which already gives it some credibility. Larimer has already launched two well-functioning blockchain projects, namely Steem and Bitshares. In addition, Larimer is the creator of both PoS (explained further down in the article) and DAO’s (decentralized autonomous organizations). Cardano’s CEO Charles Hoskinson used to be the CEO of Ethereum. However, he left after his desired direction of the platform’s development didn’t match with those of other people on the Ethereum team. Hoskinson’s breakaway couldn’t exactly be described as “peaceful”, and he started publicly supporting Ethereum Classic (Ethereum’s “competitor”). He maintained this support, although it was clear that there was hardly any development of Ethereum Classic at that time. He maintained his involvement in the project even after Cardano had launched its ICO. That way, he was involved in and supported two competing platform projects at the same time, which seems to be a bit of a conflict of interest. However, it cannot be denied that Charles Hoskinson is a clever man, who manages blockchains and platforms, and is truly respected for his insight into the blockchain environment. Programming language is the kind of computer language that a platform is written in. Those projects who want to launch on the platform need to write their applications in that language. Ethereum has introduced their own coding language, Solidity, to their platform. This made it difficult for programmers to launch on the platform, as they would have to learn a brand new coding language in order to create new projects. NEO allows coding in several of the most popular programming languages, which gives developers more flexibility to write in a language they already know best. EOS has chosen to let programmers and developers write in whichever code language they want, which makes EOS much easier to work with from the point of view of developers of new projects. Cardano has chosen Haskell as their programming language, which should be more accurate and use mathematical verification to limit human error, as well as confirm the correctness of the written code. Smart contracts are the ones that make it possible to pay for services on the various platforms, and is therefore fundamental to almost all features on the network as well as for all the projects that launch on the platforms. Neither Ethereum nor EOS has any formal programming language for smart contracts, which has already caused problems (e.g. the DAO-hack at Ethereum), and may cause more problems in the future. Unfortunately, NEO has a cost of between $50,000 as a lump sum, or $ 50,000 per year (depending on the type) to launch smart contracts, which is simply too expensive compared to the others. On the other hand, NEO has a pretty smart Virtual Machine (VM), which is the program that facilitates smart contracts on the platforms. The VM organizes NEO’s smart contracts automatically, so they are set up more logically and easier to execute. This has made NEO’s execution of smart contracts faster than Ethereum’s. EOS has considered using C ++ as a program standard for smart contracts, something that the creators of EOS thought to be a great idea. This decision, however, has received some criticism from experienced developers who simply do not believe that the language is suitable for this feature. Due to this criticism, EOS ended up using WebAssembly, which includes three languages, Rust, C, and C++. The VM appears to be a portable stack machine developed by the World Wide Web Consortium (W3C) with developers from Mozilla, Microsoft, Google and Apple. Cardano incorporates several different programming languages into its smart contract platform. Furthermore, Cardano has chosen to divide the information layer in the smart contracts from the payment layer, which would make them much easier to execute. It would also make it easier to upgrade the smart contracts, without any consequences for others in the network (that may have happened because of the separation into the two different layers). Scalability refers simply to the platform’s ability to function under an increasing number of users. 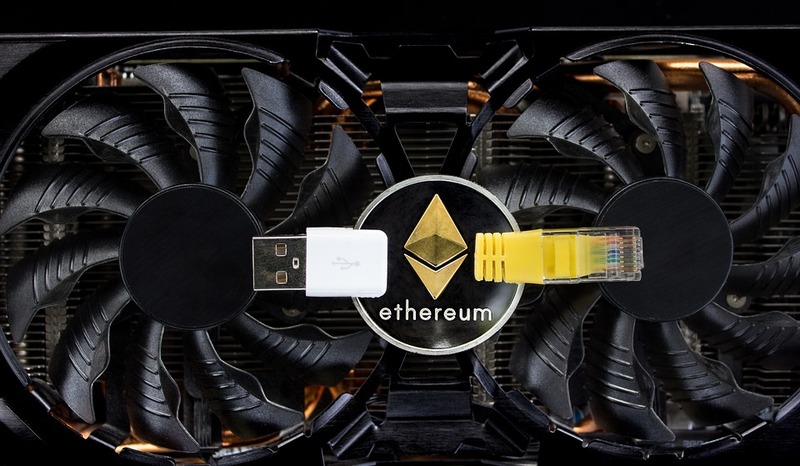 Ethereum has had problems with their scalability, because the network could not handle the amount of transactions and projects on their network. The platform continued to work, but it often had long waiting times for transfers, and too expensive transfer fees that miners have been able to demand, simply because the demand for transfers has been higher than the supply of miners that could execute them. Additionally, among other things, a nonsense project that has been launched on Ethereum, “CryptoKitties”, nearly brought the platform to a halt when the game became popular and a mass of micro-transactions caused a traffic congestion on the payment network. The Ethereum team knows well that they need to upgrade scalability, and are introducing sharding that addresses these shortcomings. NEO has been able to see Ethereum’s scalability issues, and correct them before their launch. NEO has done this across several points, but most notably by switching the Proof of Work consensus protocol to Proof of Stake, which provides much faster transactions and greater scalability. The technical aspect of this is described in more detail in the next section. Both EOS and Cardano have been able to learn from Ethereum’s and NEO’s mistakes, and are set on providing something even better. Therefore, they both advertise with transfer speeds of a much larger volume (Ethereum handles only 30 transactions per second, max.). NEO achieves a maximum of 3000 transactions per second. EOS expects that with time they will be able to make millions of transfers per second, while Cardano expects hundreds of thousands of transfers per second. Therefore, both EOS and Cardano seem to be able to scale on a much larger scale. At least in theory. A consensus protocol is the system that helps a project’s network to keep its internal accounts straight. The two primary options here are either to use Proof of Work (PoW) or Proof of Stake (PoS). PoW uses miners to keep the accounts straight, by paying miners with transaction fees and giving them voting rights in exchange for delivering computer power to the network. With PoS, those who own tokens of the projects are those that help confirm transactions and receive a share in the proceeds from transaction fees (also called staking). Ethereum uses a PoW protocol that, based on the competition from the new projects, seems to be a bad solution. Therefore, Ethereum is slowly moving towards PoS with an announced transition to a hybrid PoW/PoS protocol. EOS, NEO and Cardano have chosen a PoS protocol (or a variant called a delegated Proof of Stake, or dPoS), which is the protocol that is now accepted as the best and fastest when it comes to transaction speeds on the platforms. Cardano uses a dPoS protocol called Ouroboros, which has been developed with the help of Edinburgh University, Connecticut University and Tokyo’s Institute of Technology. NEO uses a dPoS protocol called Byzantine. The use of PoS (or dPoS) makes the platforms more scalable, and as an important point, it should also be mentioned that it is also easier to go back and rectify already launched projects – something that Ethereum has had major problems with, as the process is not as straightforward with PoW. Each project needs to carefully consider how the project will be governed, as it may signal how the project will fare in the future. This must be seen in the context of the principle of decentralization, which is encoded into the DNA of projects within blockchain (and crypto). It is important to decide how an agreement can be reached, since the decision-process is not a top-down one. Therefore, if there is no well-thought-out decision-making process, the platforms will not be able to develop in the future, and can be expected to fall behind. In case of a disagreement, Ethereum can choose to go in one particular direction. But a minority can also choose to move in another direction. This can lead to a fork, which we’ve seen when Ethereum Classic was born. The decisions are taken by a consensus, but the process is not entirely democratic. The minority doesn’t have to yield to the majority, and can instead choose to follow their own decision by launching a new project that follows their chosen direction. In addition, the Ethereum Foundation (during the DAO robbery) seemed to be able to push any of their preferred decisions through. NEO has built a democratic decision-making system. In principle, anyone who owns NEO have a vote, which is used by voting on a delegated unit called bookkeepers. These delegated entities can make decisions together, and if there is a 66.6% agreement, a decision is reached. Decisions are therefore final, and it is impossible to fork new projects from NEO. There has been a lot of criticism that the NEO Foundation has so far owned all the delegated seats themselves, but this should be phased out so that the decision-making will actually be decentralized. The EOS platform has 21 delegated block producers, which generate and validate blocks. The system is thus democratic a la NEO’s, where owners of EOS can vote for delegates to take care of their interests. Although democratic, EOS’ 21 node system is much more centralised than that of Ethereum, with 15 000 nodes. EOS also laid down a constitution, which must be included as data in all transactions in order to ensure compliance. On the Cardano platform there is a central voting center that handles the decision-making process. Proposals for changes or developments can be suggested and anyone who owns Cardano can then vote as they want – each vote is weighted according to the total amount of tokens held. You can also pass your vote on to a delegate, if you do not want to directly participate in the decision-making process. The company structure is the layout behind the platform itself. It is therefore something else than governance from the previous section, which is the decision-making process within the platform itself. Ethereum is built around the Ethereum Foundation, but also divided into smaller entities such as the Ethereum Alliance, each carrying out various tasks such as marketing, support for new projects on the platform, and the conclusion of agreements with private entities or public institutions. NEO is a company in its own right, but has a close relationship with OnChain, a company launched by the people behind NEO. OnChain aims to work directly with Chinese companies and institutions, after which NEO can used as the underlying working structure for these collaborations. NEO has also provided financial support to the City of Zion project, a community of developers, translators and designers working to make NEO a better platform. It is through them that NEX (NEO’s decentralized trading exchange) and the NEON wallet have been developed. City of Zion has previously received $270,000 from NEO to support projects that will launch on NEO’s platform. The EOS platform was launched in early June 2018, and is being developed by the company Block.one, registered in the Cayman Islands, where the creator of EOS, Daniel Larimer, is CTO. The Cardano Foundation handles the marketing part of the project. Cardano has also made sure to affiliate the project with a lot of serious academics, researchers, and universities, as well as two professional blockchain companies, IOHK (also headed by Hoskinson), and Emurgo, that help with the development. The blockchain is reviewed carefully by various scientists and researchers, and Cardano really takes the coding of the platform seriously. It also tried to solve the current known platform problems, as well as predict future ones so they can come with a platform that works well and that can easily scale a lot. In fact, they aim for their platform to support a world-wide smart economy. For many, Cardano is considered to be the platform with the most serious company structure. A token is the payment unit being used on a network. Ethereum has a token called Ether, which is used to pay on the network. Ether tokens were introduced to the public through the Ethereum ICO administered by Bitcoin Suisse, owned by the Danish Niklas Nikolajsen. NEO operates with two tokens, NEO and GAS. Gas is used to pay for transactions, and in practice it is the same as NEO tokens, only in smaller units. Since NEO has the consensus mechanism PoS, you receive GAS continuously if you own some NEOs, as you have a voice when making decisions. EOS operates only with a token called EOS, and since EOS also has the consensus mechanism PoS, like NEO and Cardano, you receive a percentage gain based on how much you own (relative to the share of the total supply of EOS). You also have a say when making decisions. EOS was launched via an ICO in 2017, which raised over $700 million. It should be noted here that EOS plans runs their platform without users having to pay transaction fees. Cardano uses the ADA payment unit, also has the consensus protocol PoS, and therefore the same functions as NEO and EOS. Ethereum has unbelievably many collaborations and partnerships with major international groups. NEO has partnered with Microsoft China. EOS has been able to to attract quite a few projects. No “gas” fees for running the network and better scalability seem to draw developers towards the project. A full list of EOS partnerships can be found here. Cardano has an interesting way of approaching partnerships, with great focus on human capital (scientists and researchers on the team). It is powered by the Cardano Foundation, IOHK (cryptocurrency research and development company), and Emurgo. The latter is an investment company focused on developing and integrating businesses on the Cardano platform, for example Traxia. Private transfers allow users to perform certain features on the network, without others on the network (or outside) being able to see them. This appeals to many users, but is also particularly interesting for companies who usually want to make financial moves without anyone else being able to follow what they’re doing. Ethereum is introducing zk-Snarks, which is a widespread privatization mechanism used by, among others, Zcash. It will give platform users the ability to make their transfers private. NEO has no plans to introduce a mechanism that can make users’ transfers private, but through the fraternity firm OnChain, it should be possible for companies and institutions to be private. This must be seen in the context of NEO’s commitment to the Chinese state, and that it does not want users to be able to hide themselves. Neither EOS nor Cardano have announced anything about a privatization mechanism, but it seems that one can choose to include it when building on the EOS platform. Now that we have reviewed all the platforms in a little more in detail, we will come up with a summary conclusion based on the underlying main parameters. Quite surprisingly, EOS wins here. Despite the fact that Ethereum is still more than 5 times as big as EOS in terms of market cap, the latter has already surpassed ETH in terms of number of daily dApps users. NEO and then Cardano come next on the list. Here, Ethereum wins, as nobody comes close Vitalik Butterin’s genius. But both EOS and Cardano also have truly prominent creators, especially Larimer from EOS is a heavyweight. NEO is a little behind here, without denigrating Hongfei in any way – especially when it comes to his network in China. NEO and EOS come first here, as they allow several different of the most widely used coding languages. Cardano is behind because their coding language should be self-regulating, while Ethereum must come last, since they have launched a coding language not known before. Cardano leads here. They have chosen the smart solution to split the way smart contracts and transactions are handled, which is theoretically really smart. Then comes EOS, who seems to try to find a working solution, followed by Ethereum and NEO, which both have working smart contracts on their platforms, but both of whom have had a little trouble running them smoothly. As a starting point, EOS and Cardano lead here, as their platforms seem to be at the top when it comes to scalability. NEO follows, and eventually Ethereum (which is very active, and is currently making improvements in this area by introducing sharding). Here, NEO, EOS and Cardano are at the top, as all three use PoS (dPoS), which has proven to be better. However, Ethereum soon follows, as they are transitioning from PoW to PoS. Here it appears that NEO, EOS and Cardano are running the same democratic principle, where NEO has been considered top-level for some time now. Ethereum falls a little here, as their decision-making process has been a bit more muddy. As far as the company structure is concerned, especially in the context of how fast and well the code is developed, Cardano clearly wins. But Ethereum, NEO and EOS have been quite clever with other parts of their company structure, including contact with any potential partners. Ethereum is a winner here, but then again, they could enjoy a longer time to build their partnerships. NEO comes after. But it should be mentioned that EOS’ and Cardano’s built in advantages, speed and scalability, may attract a great number of partners in the future. Considering Ethereum’s announcement of introducing zk-SNARKs, Ethereum wins here, while NEO, EOS and Cardano fall behind. However, NEO has the possibility of some degree of privacy, but it is not something that benefits normal users. All in all, the platforms compete fairly well, and everyone has an angle of what they want, which is a bit different from the others. Ethereum will be a platform for projects and dApps, and almost a new internet. NEO aims to be the basis for a smart economy, and hopes to become China’s preferred system. The goal of EOS is be the most user-friendly and scalable platform that can cover a whole world economy, without transfer fees and with millions of transactions per-second, which is much faster than anything we know today, even compared to large players like VISA and Paypal. Cardano has set out to become the preferred tool for governments and major institutions, and a platform that whole countries can run on. All the platforms can therefore create successful platforms at the same time, although there may be some cannibalism between them when it comes to users (they might eat into the user bases of one another). Even though the projects have slightly different goals, it seems that they all have a good mutual competition that can only make the individual platforms better.